Finally, the last page with weekly availability. Only settings for the first two trailers are shown. 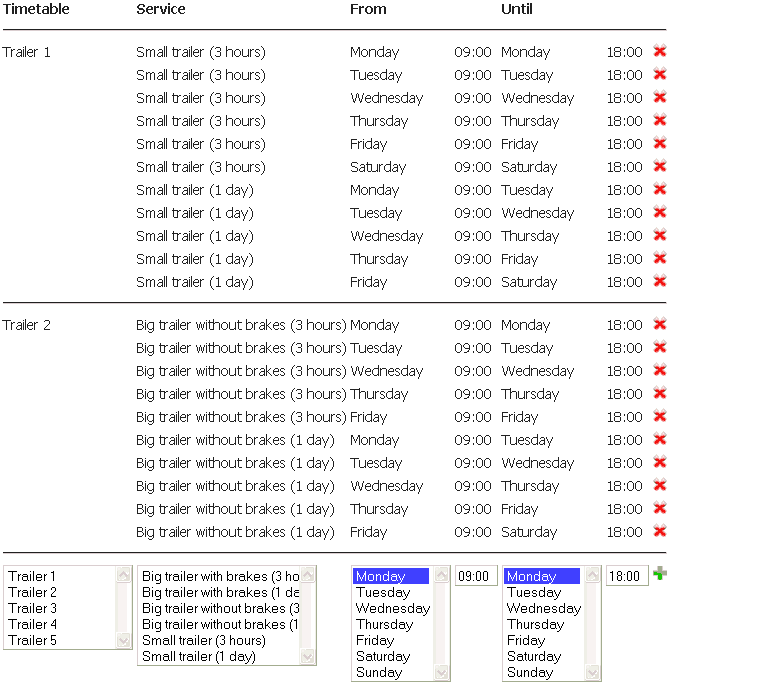 Note that the availability for the "one day" rental period is always untill the next day (eg. Monday 09:00 to Tuesday 18:00). The three hours period always ends on the same day (Monday to Monday 09:00 to 18:00). Here you can directly book a trailer online.